In Episode #24, we talk with special guest, Dr. Alan Christianson, best-selling author of The Adrenal Reset Diet, Healing Hashimoto’s, and The Complete Idiot’s Guide To Thyroid Disease. The Complete Idiot’s Guide To Thyroid Disease. PLEASE JOIN US!! Be sure to check out our Radio Show Facebook Group, Hashi’s & Graves. We share information and offer support to those that need it. Each week the upcoming guests are announced and showcased. Listen LIVE every Wednesday at 12 pm EST & Subscribe on iTunes or Stitcher. Stay up-to-date, get subscriber-only discounts, tips, articles and stories that inspire, on all things thyroid! We’d LOVE a review. Check us out on iTunes and let us know what you think! Please join Danna and Tiffany to lightheartedly, yet thoroughly, discuss thyroid disease with some of the most advanced and innovative physicians, educators, bloggers, thyroid thrivers and advocates available. Our mission is to ensure that no one ever goes undiagnosed and/or undertreated and that all are aware of the intricacies that involve living life to the fullest with thyroid disease. 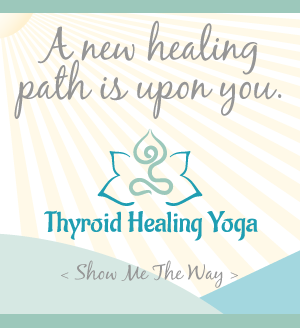 United and informed, we will change the awareness, perception, diagnosis and treatment of thyroid disease. United, we heal. Questions or anything to add about Iodine and the thyroid? We want your thoughts, please. You might just help someone else in need.